A day after staff revealed the last data on the new concurrency rules, a split Sammamish city council took action to save development of hundreds, potentially thousands, of new homes, from what looks like an inevitable shut down of growth in Sammamish due to lack of road capacity. Ace Hardware signed a Letter of Intent to be one of the anchor tenants of a new portion of the Sammamish Town Center, developer STCA announced today at the Sammamish Chamber of Commerce lunch. 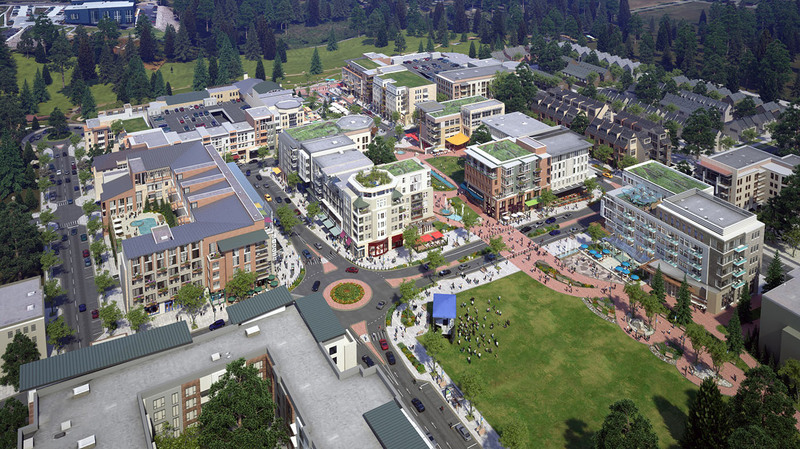 STCA rendering of its Sammamish Town Center project. Matt Samwick of the company said details must be negotiated; no timeline has been set for a firm contract. Samwick told Sammamish Comment after the lunch that other companies are lined up as anchor tenants, but no announcement is imminent.